Whether you live in a house of five or a condo/apartment by yourself, the bathroom is often used as an escape from the world. We use the space to relax and enjoy a nice, warm bubble bath or pamper ourselves before a night out. Bathroom should be your sanctuary no matter what size it is. 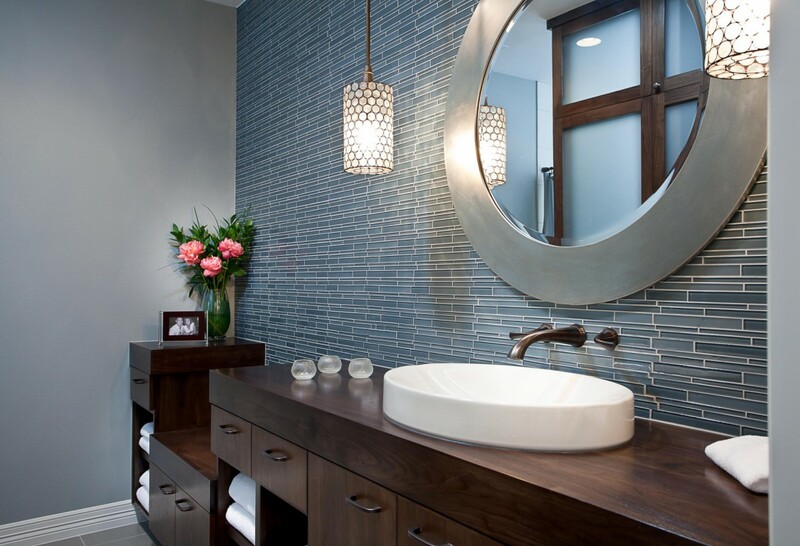 Design trends of 2013 offer beautiful lighting, rich stonework and deep freestanding tubs. It’s all about creating a comfortable retreat and you will notice a frequent use of furniture in bathrooms if space permits. Let there be light! Lighting is crucial in a bathroom. If your bathroom has windows, that’s truly the best, but if not, no worries! Natural light gives that crispiness and natural shadows from the outdoors. You can still create that same effect by adding unique and modern lights to the space. One can also add some pot lights to the ceiling and/or a statement chandelier for the extra Wow factor. Many styles in 2013 use the vintage lighting and pendants. Just like in fashion, brass and gold are huge this year! As far as sinks go, not much has changed in 2013. The all-in-one sink and vanity combination continuing to lead in popularity. 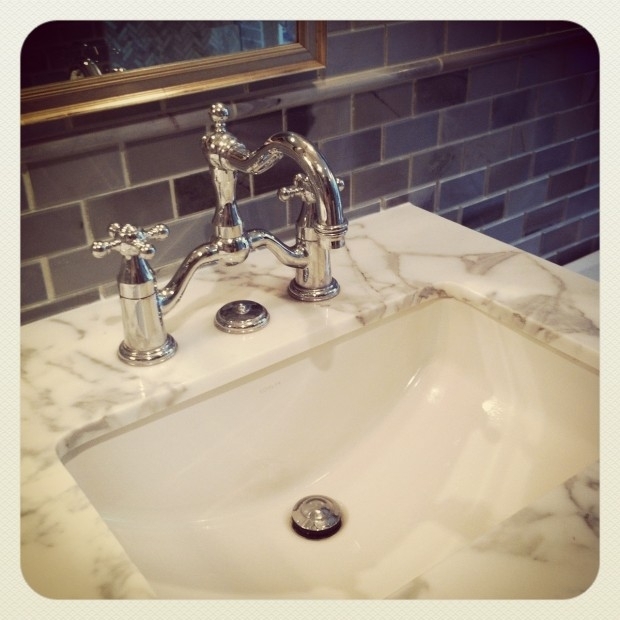 Faucets, however, are getting a glam update. Yes, we are talking brass again. Not to mention the return of traditional styles, including bridge faucets. Who knew? Color anyone? I love the fact that this year people were not afraid to use it! The brighter the better. Your bathroom doesn’t have to look like Morocco, but it can look vibrant and live! Think of bright red, orange and green… These can add a major splash to your space as well as mystique! For showers, luxury is key in 2013. 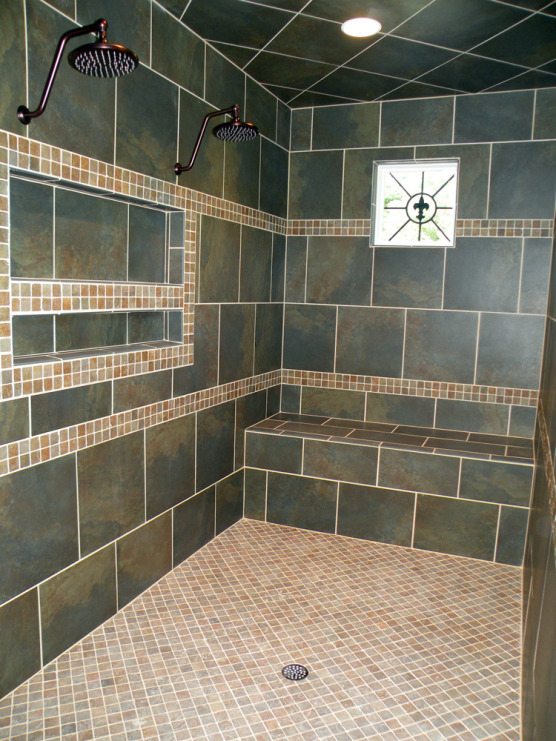 People want to feel like they are in a spa when they walk into their shower. New modern shower head designs can literally give you a massage in the privacy of your own home. On another note, marble in the shower is also in big demand. But isn’t it always? From slabs of marble to large tiles to mosaic patterns, it’s a classic stone that comes back as a big trend year after year. 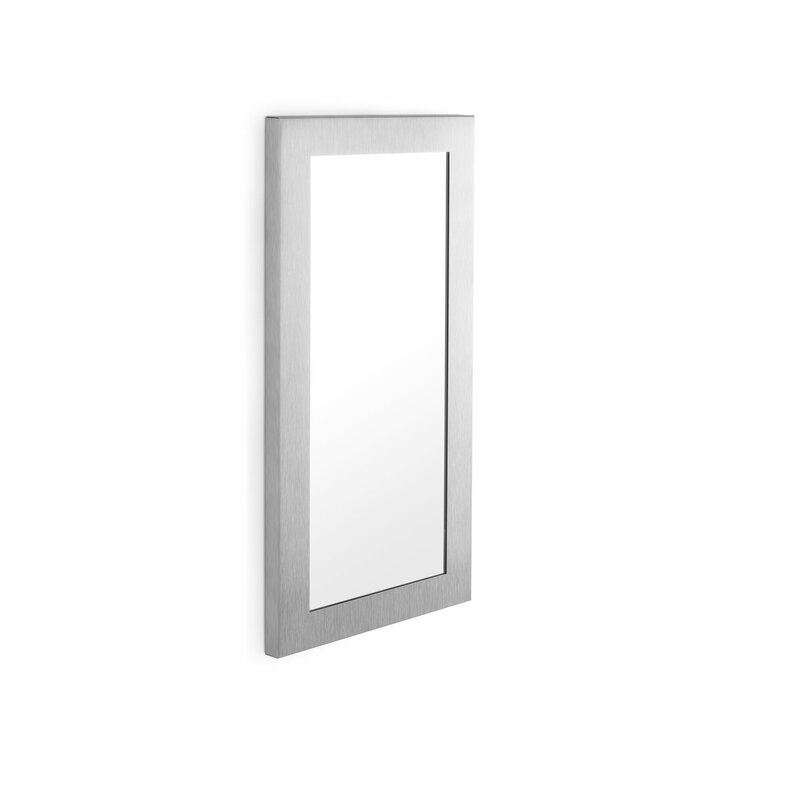 Mirror, mirror on the wall… please open up my space to glow! Mirrors are known to expand small and tight spaces. When there is no natural light, bathrooms tend to feel very condensed. 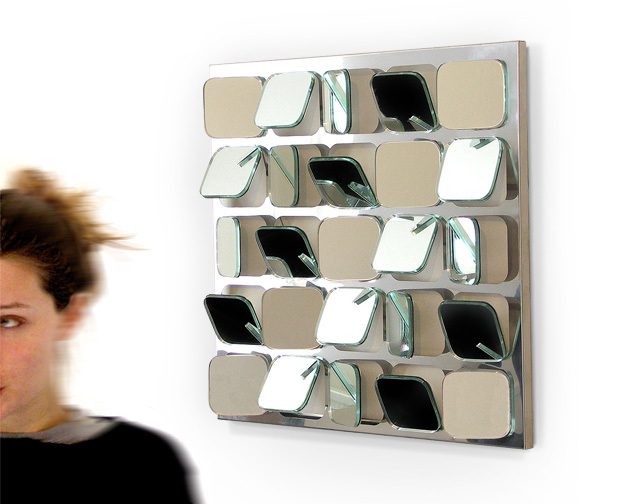 With an addition of an awesomely modern mirror, you can change the entire image of the space. 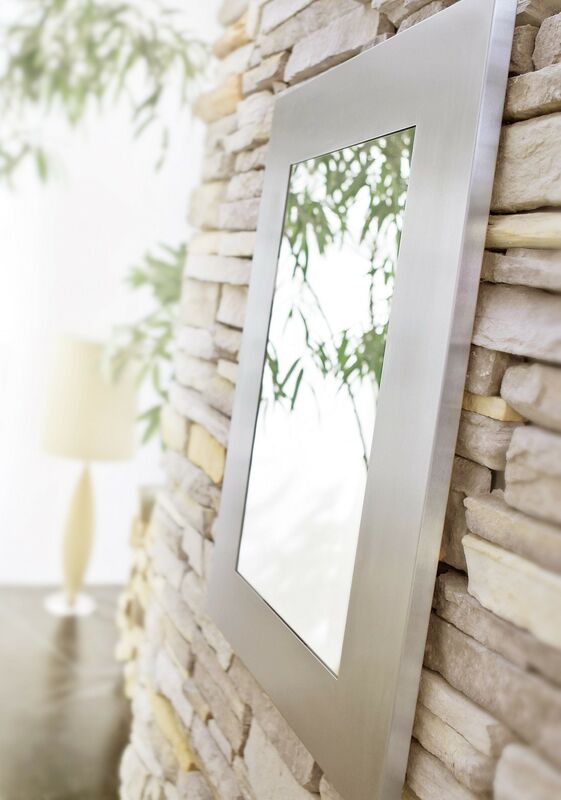 Check out this modernistic mirror at HomeClever for only $84! Talking about luxury at a bargain price. Add some funky white/silver lamps and VOILÀ! From closed to open in a matter of minutes!